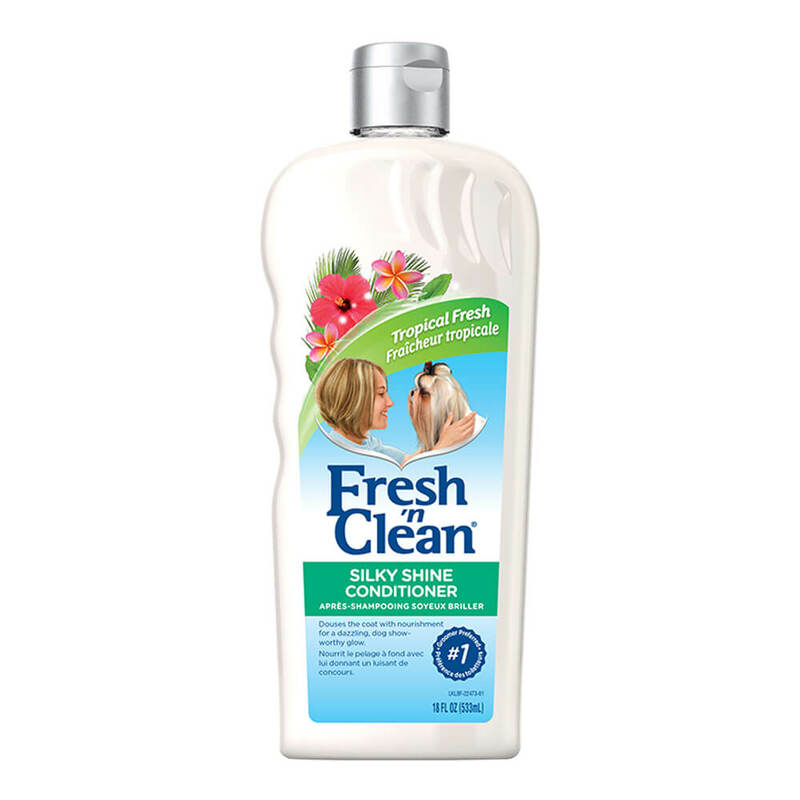 Fresh 'n Clean Silky Shine Conditioner has natural silk proteins that add layers of luminous shine. Sunflower oil lubricates and softens the coat and offers a deluxe grooming treatment with that "Dog Show Glow". The tropical fresh scent has a ready-to-use formula that lasts up to 2 weeks and leaves you with silky shiny results.